The Netherlands is liable over the killings of more than 300 Bosniak (Bosnian Muslims) men and boys at Srebrenica in Bosnia-Hercegovina in July 1995, a Hague court has ruled today. The men and boys were among 5,000 Bosniaks, mostly women and children, sheltering with Dutch UN peacekeepers. But the Dutch state was cleared over the deaths of more than 7,000 other men killed in and around Srebrenica. The Srebrenica massacre is considered Europe’s worst since World War II. The case was launched by relatives of the victims under the name “Mothers of Srebrenica”. The Hague district court said that the Dutch peacekeeping forces, Dutchbat, did not do enough to protect more than 300 of the Bosniaks and should have been aware of the potential for genocide to be committed. It said the state should have known they would be killed by Bosnian Serbs when they handed them over from the UN compound of Potocari. “It can be said with sufficient certainty that, had Dutchbat allowed them to stay at the compound, these men would have remained alive. By co-operating in the deportation of these men, Dutchbat acted unlawfully,” the court added. It said that the Dutch state must accept some degree of responsibility for what happened and pay compensation to the families of more than 300 victims. 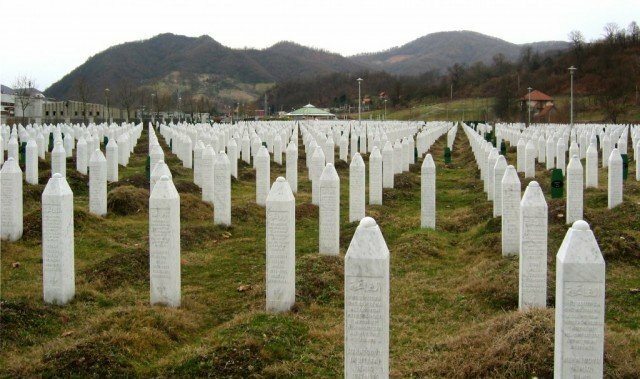 However, the court stopped short of holding the Netherlands liable for the fate of the majority of men killed in Srebrenica, saying that many of the male refugees at the time had not fled to the UN compound but “fled to the woods in the vicinity of Srebrenica”. During the 1992-1995 war, Bosniaks from the surrounding area sought refuge in the town of Srebrenica as the Bosnian Serb army carried out a campaign of ethnic cleansing, expelling non-Serb populations. The UN declared Srebrenica a “safe area” for civilians in 1993. It fell in July 1995, after more than two years under siege. Thousands of Bosniaks went to the UN base just outside Srebrenica at Potocari. However, the Dutch soldiers told them they would be safe and handed the men and boys over to the Bosnian Serb army. The women and young children were transported to a Bosniak-majority area. The two key figures of the wartime Bosnian Serb leadership – one-time President Radovan Karadzic and General Ratko Mladic – are on trial for war crimes at the UN tribunal in The Hague.